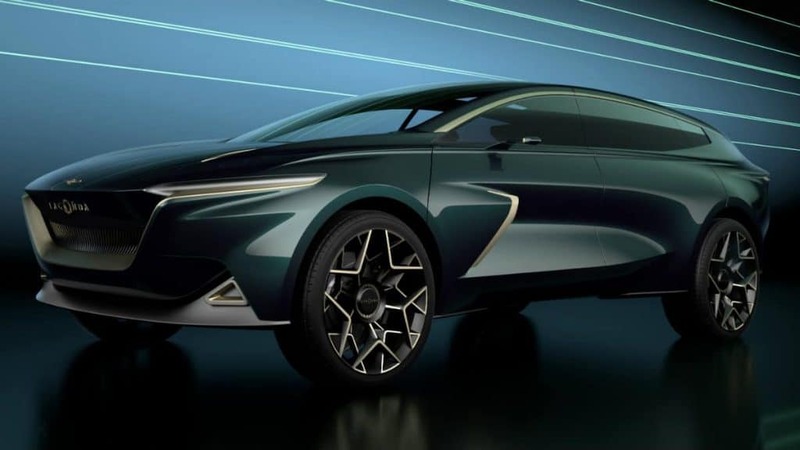 Aston Martin Lagonda is proudly present the Lagonda SUV Concept, continuing work on new state of the art, luxury vehicles driven by zero emission powertrain. 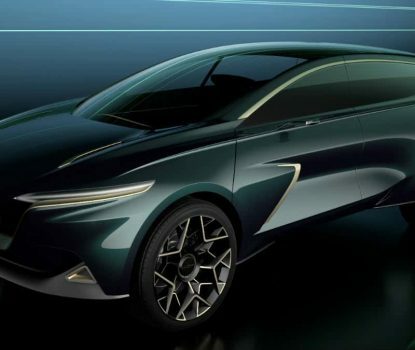 Lagonda production is planned to start in 2022, using advanced technologies for Battery Electric drivetrain, the Lagonda All-Terrain Concept is a stylish, ultra luxurious, fully emission-free car that can transport its occupants to remote locations. 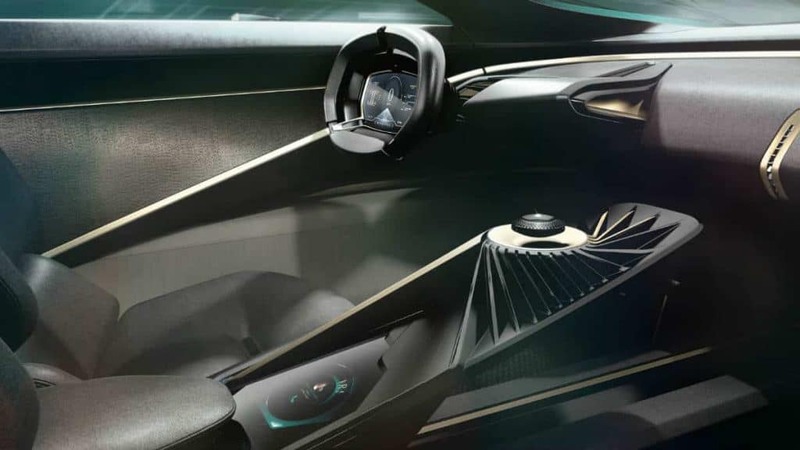 It develops the designs and materials seen in last year’s widely acclaimed Lagonda Vision Concept, tailoring them for the new and challenging environments that an all-terrain vehicle is capable of reaching. Lagonda aims to be the world’s first zero emission luxury brand. It will confound traditional thinking and take full advantage of the latest advances in both electrification and autonomous driving technologies. The Lagonda All-Terrain Concept adds a hugely exciting sense of adventure to the unique brand of luxury emission-free vehicles that Lagonda is planning to produce. 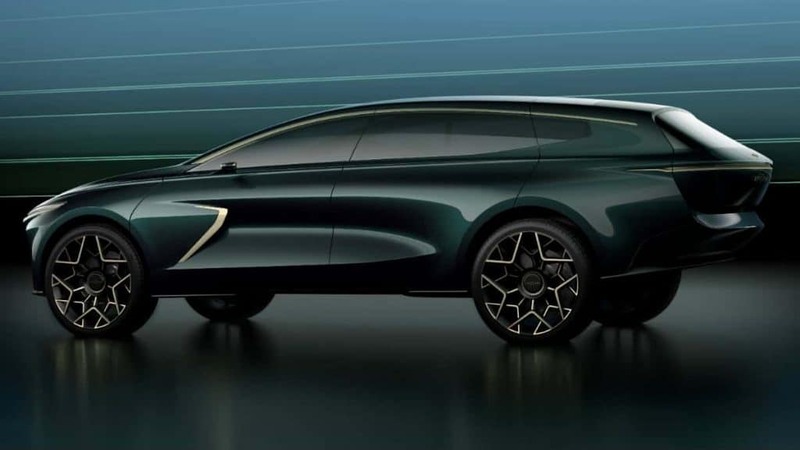 This car shows the bold possibilities for Lagonda and demonstrates how the company will push to expand in every area, technology, design or scope of travel. The Lagonda All-Terrain Concept is a study that continues the evolution of a design language that could be seen in production Lagonda models. 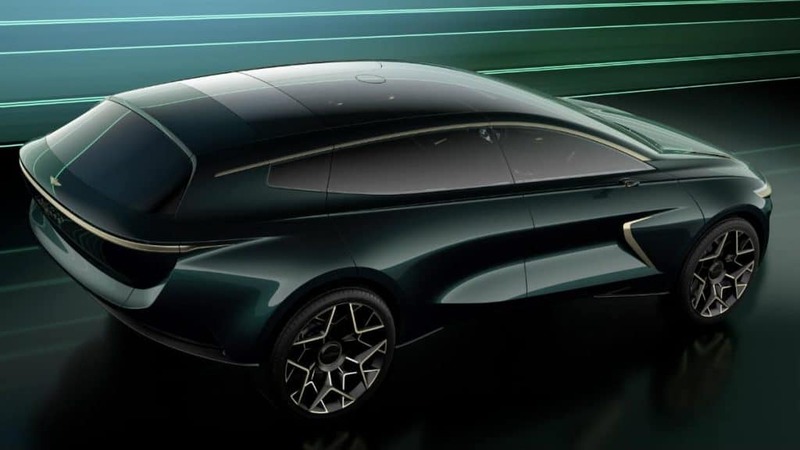 Lagonda Vision Concept shown last year was mainly focused on road travels, this new vehicle goes off the beaten track to broaden Lagonda’s horizons. It appeals to a pioneering spirit of adventure and such is its futuristic design that you could just as easily imagine it roaming the surface of Mars as a mountain in Scotland. In the same way that the exterior design is relaxed and elegant, but there is also inherent robustness for the terrains that the vehicle is designed to tackle. Most of the vehicle’s stiffness comes from the floor where the batteries are stored, that enabled designers to fit rear-hinged back doors. These not only allow for a spectacular ‘red carpet’ moment as the interior and its occupants are revealed but, when combined with the sections of roof that open upwards, also enable wonderfully easy access to the car. One of the practical elements of the All-Terrain Concept is sliding out rear shelf. Hidden within the body when stowed, the shelf slides out in order to offer a platform for occupants. Given the extraordinary views that the Lagonda All-Terrain Concept can transport its occupants to, it seems only right that it should offer somewhere for them to sit and survey the landscape. 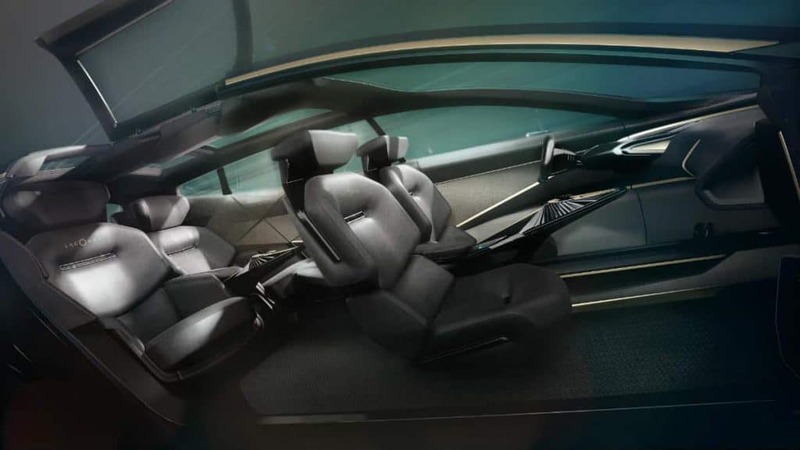 The interior of the vehicle develops many of elements first seen in the Vision Concept, while there is still the option of rotating the two front seats to face the rear two during autonomous operation, there is a greater expectation that the vehicle will be controlled by the driver during the journeys that it will undertake. When considering the materials of the cabin, the intention was that it should feel like a seamless transition between the vehicle and the owner’s home. The Lagonda brand is unconstrained by the traditional values of current luxury products, it is not about wood and leather, the interior feels very calm and quiet with soft, natural materials. Feelings of time and space are also attributes Lagonda All-Terrain Concept does its utmost to enhance. The lines and focal colors inside the car draw upon historical techniques known since the Renaissance in their ability to draw the eye and utilize perspective. Also, key is the view out, which is expansive in that it draws the eye not only to the front and sides but also upwards. This allows the occupants to look both along streets or valleys and up to the buildings or peaks surrounding them. Technology is an important part of the interior. Lagonda believes that key remains an important point of contact between the driver and the vehicle. As such, it is celebrated and indeed elevated in the interior of the Lagonda All-Terrain Concept. Thanks to the wonder of electromagnets, the key floats when it is placed in position, levitating between the front seats. The Lagonda All-Terrain Concept embodies the vision for Lagonda to be a standalone brand that will break through long-standing boundaries and transform the way people perceive luxury transport. 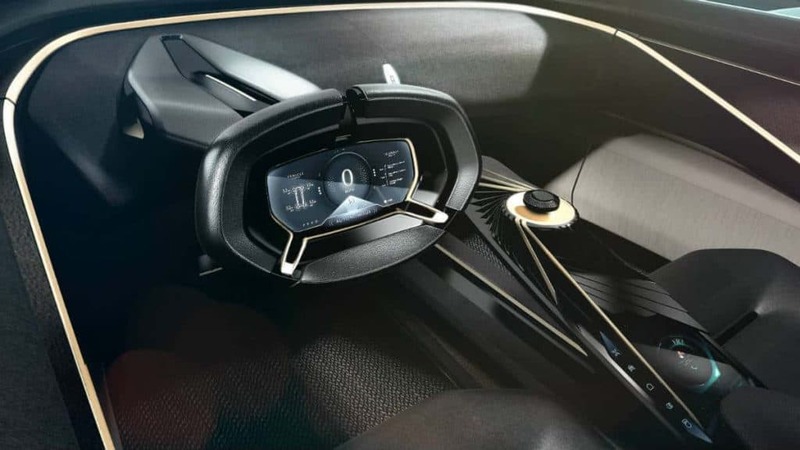 As demonstrated in the concept, this will be done through the use of cutting edge design, creating technologically radical, visually spectacular, thoroughly modern and ultra-luxurious vehicles. Lagonda’s ambitions also go beyond automotive, to be a luxury brand which, can go anywhere and do anything that is consistent with the values of the marque. Just like the Lagonda All-Terrain Concept, production Lagonda models will not only be supremely spacious, cosseting and exquisitely appointed, but also bold and forward thinking, bristling with creativity and innovation from the way they are designed to the engineering they contain. They will prove that the old conflicts – those between high performance and zero emissions, technological sophistication and the purest luxury – are conflicts no more. 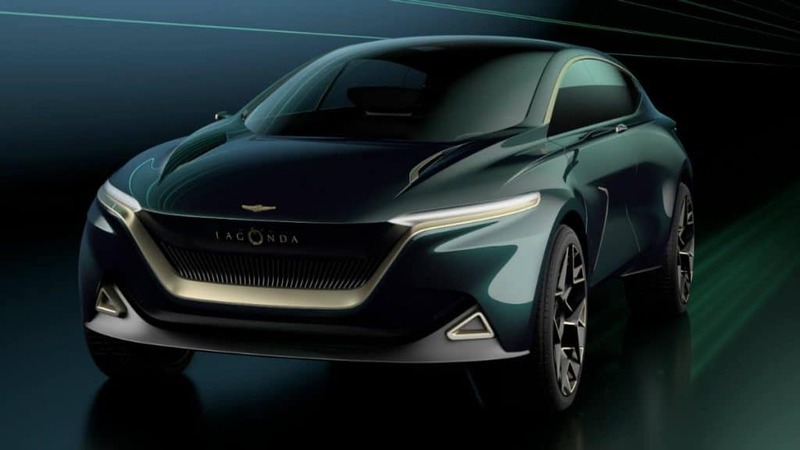 Lagonda believes the increase in new automotive technologies from efficient electrification to autonomous driving provides a unique opportunity for a new brand bearing one of the greatest names in motoring to rewrite a rulebook that has been allowed to stagnate for too long. Lagonda will remain faithful to the forward-thinking, spirit of Wilbur Gunn, the Anglo-American engineer and entrepreneur who founded Lagonda in a greenhouse at his home west of London in 1899. His cars were always innovative: for example, the 16/18hp model that won the Moscow to St Petersburg trial in 1910 boasted not only trailing arm rear suspension but a form of monocoque construction, decades before its advantages were realized by the bulk of the world’s car manufacturers. He succeeded because he refused to accept that the current way was the only way. Modern Lagonda products will be inspired by these pioneering designs and, like them, be steadfast in their focus on the future. Lagonda will produce cars that exploit technology, without being obsessed with it for its own sake. And It will enable Lagonda to redefine the concept of luxury within the automotive and other spheres.